While I normally read political nonfiction, I have been focusing on reading other genres this year -- particularly other genres of nonfiction. 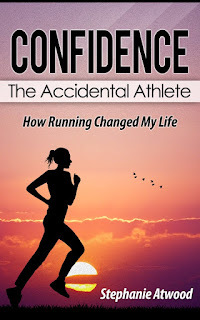 I have been inspired to read the stories of other athletes, which is why I jumped at the opportunity to read The Accidental Athlete: How Running Changed My Life by Stephanie Atwood. Reading the stories of athletes can be both inspirational and motivational, while challenging you to examine the role of sports in your life. The Accidental Athlete was a quick and easy read about how Atwood became a runner, and grew to love running even more than she did as a child, despite a series of heartbreaking life events. I'm a bit torn on how I felt after reading this book. On the one hand, I love reading about how different people reach self discovery, and was interested to see how Atwood came to call herself an athlete. On the other hand, the writing style left much to be desired. There were several points in the book where I wanted the author to dive a little deeper into her story. She quickly goes from being single, to being married with kids (it's unclear how many), to losing this life in what seems like short order (though it might have been over a 20-year period). With such an intriguing back story, I wanted to feel some sort of emotion upon reading this. Unfortunately, the story jumped around so much that it was hard for me to relate to the author, or feel any sort of sympathy. For example, in Chapter 7, she states that she, "lost a boyfriend to a climbing accident and twice had been nearly killed myself." What?! What happened? These are the things the readers want to know! Additionally, I really wanted a more thorough description of the run in Chapter 9 that led to her epiphany. Don't leave me hangin'! I also wish she had gone into more detail about how she first started her Go WOW Team, including how she came up with the name. Was it tied to that epiphany? While I appreciated the upbeat tone of the book, I had some issues with the writing style. In particular, the early chapters had a lot of ellipses, which drives me nuts, and leads to awkward transitions. Further, the editing was a bit strange, since the story jumped around so much, and kept making me think I was rereading pages I hadn't yet read. Do I sound like a book snob right now? Sorry! 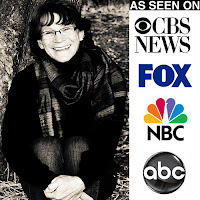 At the end of the day, I'm still not sure how Stephanie Atwood came to describe herself as an "accidental athlete;" however, there were enough points in the story that piqued my interest enough for me to want to read more and learn more about Atwood. I would love to read more about her 20 years at Guides for All Seasons, or those early years with her children. I would've also loved to have read more about the scenery and lifestyle differences when she was living with her husband in Japan. In short, I just want to know more! Which is a good thing, right? Because it is better to want to read more to the story than to want to put the book down and never touch it again. Full disclosure: This book was sent to me by the author, for no cost, in exchange for my honest review. I really appreciate your comments about the book. It now seems very clear that another book needs to happen! I have some pretty cool stories to share but will probably have someone else write them for me. You definitely do! It sounds like you had some awesome adventures!